Aqua/Water/Eau, Cyclopentasiloxane, Cyclohexasiloxane, Talc, Cetyl Peg/Ppg-10/1 Dimethicone, Titanium Dioxide (Nano), Glycerin, Nylon-12, Hdi/Trimethylol Hexyllactone Crosspolymer, Zinc Oxide, Acrylates/Dimethicone Copolymer, Phenoxyethanol, Benzyl Alcohol, Sodium Chloride, Magnesium Sulfate, Hydrogen Dimethicone, Sodium Dehydroacetate, Alumina, Disteardimonium Hectorite, Dehydroacetic Acid, Potassium Sorbate, Benzoic Acid, Dimethicone, Tetrasodium Edta, Tocopheryl Acetate, Aluminum Hydroxide, Triethoxycaprylylsilane, Ascorbyl Tetraisopalmitate, Propylene Carbonate, Sodium Hyaluronate, Butylene Glycol, Silica, Ethylhexylglycerin, Fomes Officinalis (Mushroom) Extract, Peg-40 Hydrogenated Castor Oil, [May Contain (+/-): Titanium Dioxide (Ci 77891), Iron Oxides (Ci 77491, Ci 77492, Ci 77499)]. Make every day a good skin day with Charlotte Tilbury's Magic Foundation, a weightless, full-coverage foundation with the skin care benefits of a luxury cream. Formulated to melt into skin with a weightless, second-skin finish, this miracle in a bottle transforms every skin type into flawless, poreless perfection—just like magic. Apply Magic Foundation with your fingers and blend into skin with a buffing brush, like Charlotte’s Magic Complexion Brush. Build up to your desired coverage level by stippling or patting over problem areas. For a more sheer application, use a damp sponge. Magic Foundation sets on its own without an additional setting powder. Tailormade for use with Magic Foundation, this brush’s flat head distributes pigments evenly to create a totally flawless, airbrushed finish. The dense, supremely soft hairs slide gently over skin, making it perfect for those with acne, large pores, scarring, or rosacea. 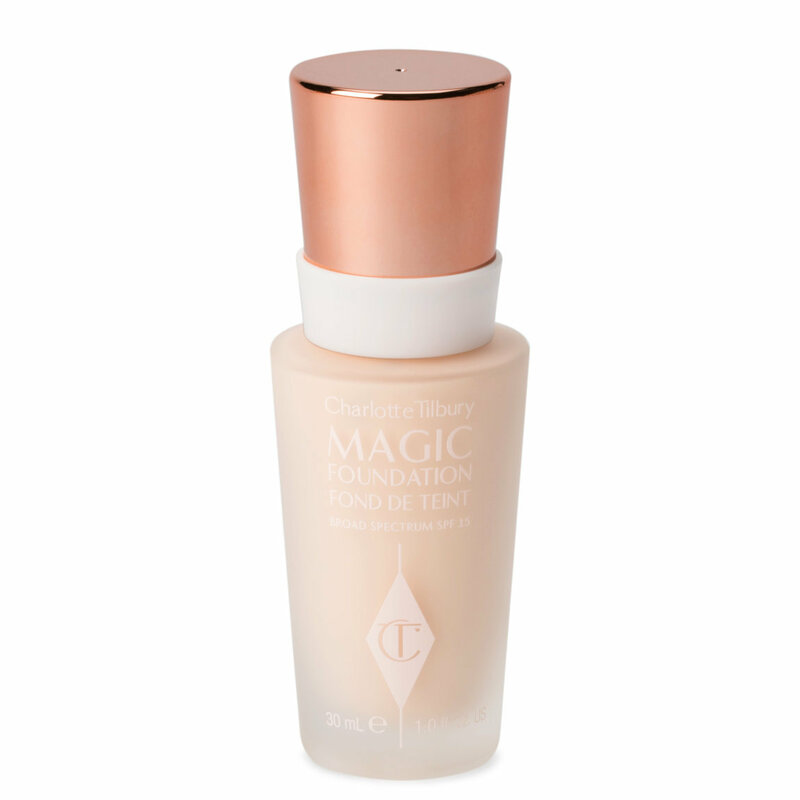 I'm about 95% sure that I can end the search for a Holy Grail full coverage liquid foundation! I can't stop wearing this and I can't believe how many people have complemented me on my skin since I have been wearing the Magic Foundation! Here are some important Magic Foundation facts: It's full coverage with a demi-matte finish! So it stays put and your skin looks healthy! It's a quick set foundation, so you have to work fast or work in small sections of your face. It's best paired with a buffing brush rather than a beauty sponge. When you buff it into the skin it covers and blurs imperfections in a beautiful way. You don't need a lot of product. It covers well and if you over use you're going to get a cakey look just like you would when you over apply any other full coverage foundation. It's a self setting foundation but since I have combo skin I find that it has better staying power if I lightly set my t-zone with a loose powder. It's universal for all skin types! How you prep your skin will always determine how well makeup looks on you, so just because this is for all skin types doesn't mean it will look good if you skip skin prep! For those of you super into packaging etc it's the same gorgeous luxury packaging we have come to expect from Charlotte and it will look beautiful on your face as well as your vanity. It's been a long time since I've been this excited about a foundation! And I am so happy to say that after putting this product through rigorous testing that it lives up to all the hype! I am so happy with it an think it will be quite a best seller! 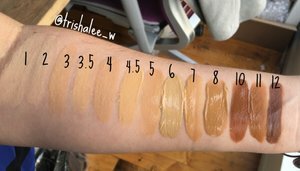 I also have light wonder/ magic foundation shade comparison swatches on my blog www.aglitterylife.com in case you need additional shade matching assistance. The first thing I will tell you is this: if you are fair, looking for a full coverage foundation, this one will be hard to beat. The shade I got was 1, it's described as a neutral pale shade and I found that yes, truly it is. I usually have to use at least a couple of products to match my skin. I go for the Custom Cover drops in shade N10, which even described as neutral is a little pink for me, and I mix with a still neutral but yellow based foundation. Those two alone give me a heavier coverage than what I'm looking for so I have to mix all that with a bit of moisturizer. This takes way too much time and in my opinion, you shouldn't have to spend 10 minutes blending expensive products together to get what you need. This foundation fixed that for me. The staying power is also impressive. I used to have very oily skin around the T-zone, I have cystic acne for which I am currently taking Accutane, so now my skin is bone dry and extremely flaky and unless I pile on moisturizer and facial oil, my skin will literally feel and look like a desert. So even after the intensely hydrating skin regimen I'm currently having to go with, most of my regular foundations grip my flaky skin and hold on for dear life. I find that this one doesn't do that as much while still covering and evening out my skin. If you have flaky skin I advise against doing what is shown in the video, for the love of god do not buff the foundation, please! Use either a damp sponge (like the beautyblender) or a dense brush to apply using patting motions to bounce the foundation on the skin. If you need more coverage in a wide area, this does layer well although it can look a bit heavy if you put on too much. I usually do one thin layer all over and do a second thin layer on the places I feel need the most coverage and if that is still not enough I go in with a small brush and lay on concealer mixed with a little of the foundation (to correct the shade) on the spots I need to cover. Now for the slightly bad news and the reason I gave this 4 stars instead of 5. It's really thick. Like...really thick. It sort of reminds me of the MAC pro longwear concealer. If you are used to dealing with this kind of dry thick texture of your foundation you will have no problem with this, however if you're like me and you're used to foundations like the Dior Star or the Makeup Forever HD, this will take some getting used to. This "issue" is fixed easily with applying an emollient moisturizer and letting that sink in a little prior to application. If you have oily skin I suggest using a hydrating primer, a powder and setting spray (to take away the powdery look and help the foundation set and look less heavy as this is a full coverage foundation). Another thing I'd like to mention. This is a full coverage ~foundation~. I think there is a lot of misconception about what that means. Foundation is created not to cover blemishes or scars or whatever, it is meant to even out your skin tone. What a full coverage foundation is supposed to do is even out very stubborn uneven skin, for example, if you are having to deal with red splotchy skin, redness around the cheeks and the nose, large scale hyperpigmentation. If you need to cover spots you will need a concealer for that! Do not think this will cover your acne or large spots, it's not supposed to, though it will ~help~ to cover them and you will need to use far less concealer. This is not good for my dry skin, plus this contains some really bad ingredients, talc, Benzyl and benzoin Alcohol to name a few.I do not understand why these bad ingredients are in cosmetics it is 2016 there is no reason for the more high- end expensive products to contain these ingredients ,People should google the ingredients before they purchase something that is going on their skin, I mean come on TALC ??? I got a few samples to try out, and here is my review for them! Number 1 was very fair. If you are a pale person, you will love this. I mean I thought I was fair, but THIS was way too light for me!! It's best for you if you have neutral/yellow undertones. Number two was a bit better for me, but still too light. Also good for neutral/yellow undertones. Weird, as I remember using shade 2 from her other foundation in winter 2014 and it matched my winter skin well! I guess I must have a slight tan from when I went to Florida for Christmas in 2015! I tried shade 3 as well, and it felt like this was a good match, but only if the undertones were less peach/pink. I have yellow/olive undertones so the pink was no bueno. I think that shade 3.5 would be perfect for me, so I plan on ordering that soon. 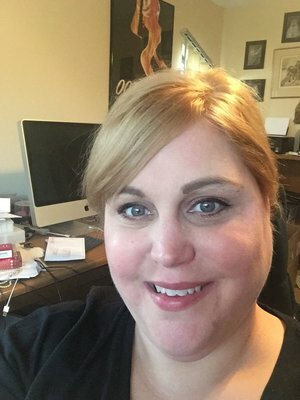 As for the actual foundation, the coverage is good and it feels very nice on the skin! It goes on well with a buffing brush, and leaves a very nice finish on the skin. Try it out if you get the chance! I was gifted this and didn't expect to like this as much as I do because I read so many negative reviews of this foundation on other websites. I LOVE IT, I've tried nearly all of the highly recommended foundations on the market, but this blows 99% of them out of the waters. This gives you medium to full coverage, while looking natural, even in daylight - that's everything I want in a foundation, basically. #4 is also a PERFECT match for my Chinese skin tone, it leans yellow but doesn't overdo it. I apply it with a beautyblender and it doesn't sheer out too much like some foundations do. I cannot recommend this enough, I love this! Tried this five months ago from Harrod's and find it way too dry for my skin type. The makeup disappeared off my face despite using magic cream and other rather heavy moisturizer. Just bit for me. I have no luck with foundations to the point where I used to not wear it at all, however, I've gotten back into it especially for the cooler months. I actually have 2 shades, 6 & 7, because my samples arrived after the launch & I bought 6 hoping it would work but after I got my samples I found 7 was a better fit. But I suggest having 2 shades, it sort of allows you to customize even more. It really takes the smallest bit of foundation for undetectable coverage that just melts into your skin. The amount I use is about the size of a pea. My husband said it didnt look like I had anything on my skin at all. But I knew it was there because all those little flaws and imperfections were invisible lol. I apply it with an Artis 6 brush and that does the job just fine. This product may be full coverage but the feel of wearing it is very airy and feather light. Sometimes I use a setting spray, sometimes I don't. Either way this foundation never gives up and because of that I've been using the setting spray less which is nice to give my skin a bit of a break. I've been so happy with this foundation- and with beautylish for the samples ty!- that I haven't even tried it with the Wonderglow yet, so I'm looking foward to experimenting with that. I completely love this foundation. Its so nice to look at my skin and not be able to see foundation on my face, just an even, natural skin tone. Makes me feel pretty good about that face looking back at me from the mirror and isn't that what its all about anyway?